Combine your creativity with the flexibility of Styletech Brand glass enhancement films. 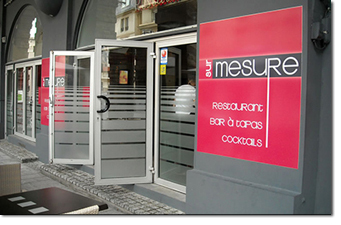 Our glass etch films provide a beautiful means of creating an entirely new environment of light, space, dimension and visual effects. The 125 Diamond Etch film itself is unique in the fact that not only does it look great and sparkle more than our standard glass etch products – it feels different. When you touch our Diamond Etch, you can feel the texture of the film itself. When seen in direct light, you can also see the difference in texture and brightness. The Diamond Etch actually sparkles. The 121 Etch has become the standard in the industry. This has been a top seller internationally for 30 years and is our best selling etch film. 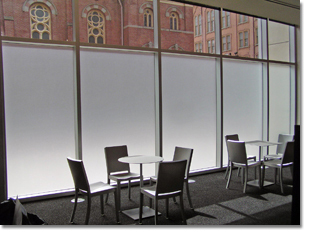 The frosted effect allows the perfect amount of light to pass through the glass while protecting privacy in homes, offices and commercial environments. Our Etch reduces eye strain and helps improve conditions for office employees because of the use of natural light. Because of the popularity of our 121 Etch, we now offer it with our standard liner and our Bubble Release liner. With the Bubble Free liner, you can apply large sheets of film without water for faster installations. Call for a free sample. For more information on this unique product, or any of our other products, give us a call today at 800-433-0541 and we will be glad to help you. Call today for a color chart of our complete Etch Collection, including all 9 quality products. These films can be cut to any size and all standard etch films can be printed providing your customer with personalized options.